But the good thing is that this home air conditioner guide will teach you all about the essentials, so you know exactly what to do, what to expect and what to prepare for until the installation is complete. Do you want to spend less in cooling your home during summer? It is time to check out SEER ratings. You’ll find out how energy-efficient an AC is by checking the seasonal energy efficiency ratio. SEER often ranges from 13 up to 21. You have a more efficient AC when the number goes higher. However, remember that an AC’s price also goes up when its SEER rating goes higher. Pay more up front for these systems but you’ll be able to enjoy more efficiency at a fraction of the cost during summertime. Tons can range from 1.5 up to 5, and it pertains to the AC’s capacity to remove heat from your house. Contrary to SEER, higher is not better. An AC’s ton relies on different factors about your home (such as the number of windows and the square footage). Good for you, because it’s not your job to figure it out. 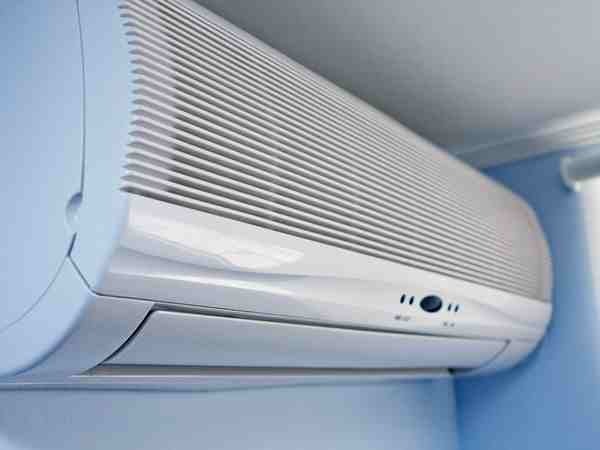 Hire an AC expert to do a cooling load calculation first to find out the right size. 2-stage ACs likewise have 2-stage compressors, letting the AC, similar to a fan, operate at various settings depending on what’s the weather like. You no longer need to change the settings manually because the AC can detect the indoor temperature and switch from low to high setting automatically. No need to replace both units since only one is broken. It is expensive to replace both units. But this is not a good practice. You can only achieve a “matched system” if both your outdoor and indoor units are a match for each other. This home air conditioner guide addresses all the basics you need to know when thinking of HVAC replacements. Arm yourself with the right knowledge and skills, so that you have the ideal and a more efficient HVAC system that will last you a long time at a price you can afford.